This book has two audiences and purposes. The first audience comprises teachers of technical communication and graduate and undergraduate students, commonly from English programs and without technical backgrounds. The purpose for them is to introduce technical communication from the avenue of humanities with which many are familiar and allied. The book serves them as an adjunct to conventional textbooks. The second audience comprises scholars and practicing professionals already familiar with technical communication. 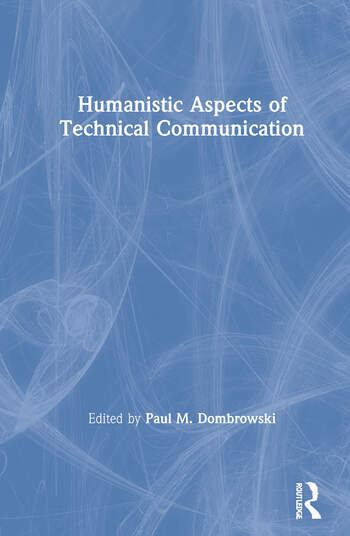 The purpose for them is to provide a handy collection, with introduction, of significant essays on recent humanistic developments.